Zexum high quality Twin & Earth Power and Lighting cable. A quality, well constructed product which is easily stripped and worked with. General purpose T&E cable, mainly used in house wiring, power and lighting circuits, such as fluorescent lighting and Office & Shop Lighting. 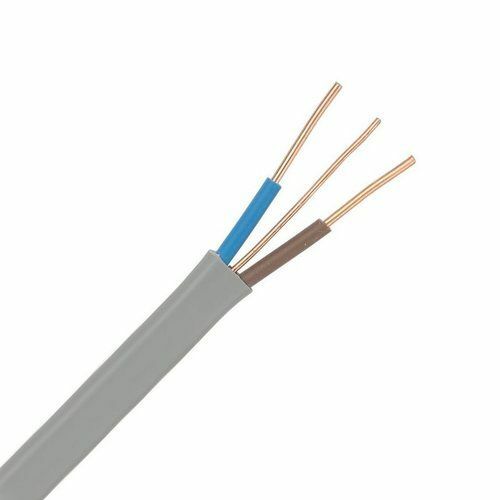 High quality solid plain copper cores, Insulated/Sheathed with Rigid, Harmonized Grey PVC. Suitable for voltages up to a maximum voltage of 300/500V and maximum current of 18A.